Ignorance of the Arab World is the main obstacle facing Western publishers looking to enter the market. More and more, western and Arab publishing companies are finding that creating partnerships in the region is a way to bridge the unknown, and it is mutually beneficial, albeit in different ways. “Partnerships are a way for [Western] publishers to break away from their ignorance of this market and to penetrate it, and for Arab publishers it gives them privileged access to production, distribution and translation, and allows them to develop a long term relationship,” said Mermier. One such partnership was created almost three years ago when Hachette Livre International and Librairie Antoine in Beirut joined forces in a 50-50 joint venture to publish works in Arabic. A strong relationship already existed as the companies had been doing business together for 75 years on the distribution side. Hachette Antoine publishes educational books, for the most part in French, and trade books in Arabic, primarily Arabic fiction — best-selling author Ahlam Mosteghanemi just signed with them — along with translated authors such as Harlan Coben and Mary Higgins Clark. Hachette Antoine also won the bid to publish J.K. Rowling’s adult novel, The Casual Vacancy. Although Lebanon has a well-established publishing industry, it wasn’t so easy to create a métier of editors in Qatar, where publishing is still in its infancy. Yet this was one of the goals the Bloomsbury Qatar Foundation Publishing (BQFP) set for itself from day one. The partnership between the Qatar Foundation and Bloomsbury Publishing was established in 2008. The structure differs from Hachette Antoine in that the Qatar Foundation owns 100% of BQFP, but it is managed by Bloomsbury UK, said Consultant Publisher Andy Smart. The partnership came about because Bloomsbury UK had already developed a project with a Qatari corporation and had a local presence. The Qatar Foundation was looking for a publishing partner to develop publishing know-how, raise awareness about reading and writing, and in general transfer knowledge and skills. Indeed, the new Managing Director at BQFP is a young Qatari, Hanouf Al-Buainain, who replaces the Egyptian Seif Salmawy, now Executive Director of the Qatar Foundation Publishing Center, itself an entity that will soon have an onsite print-on-demand facility and is developing bookselling and distribution. The BQFP publishes fiction and non-fiction for adults as well as children, classical Arabic literature, and educational and academic books. 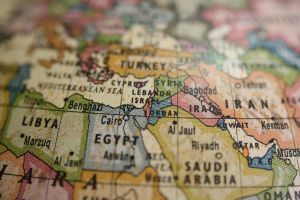 Smart added that the advantage of a partnership for Bloomsbury UK is that the relatively young company can now count the Middle East in its operations, besides Australia and India, which fits its strategy of becoming a global publisher. Already a global publisher with experience in international projects in Brazil, South Korea, and China, Penguin entered a joint partnership with Egyptian publisher Dar Al Shorouk in 2010. The aim is to publish Arabic editions of the Penguin Classics series, as well as original modern and classical Arabic literature. The initial plan had been to bring out twelve translated works from the Penguin Classics series and up to eight local Arabic titles each year, substantially increasing the number of quality translations from and into both Arabic and English. Although the project has been somewhat sidetracked by recent political events in Egypt, Andrew Philips, President of Penguin International, said that the first group of nine books translated into Arabic was scheduled to be released in July 2012, including F. Scott Fitzgerald’s The Great Gatsby and George Bernard Shaw’s Pygmalion. Philips added that the titles to be translated from Arabic would be announced in due course. Desmeures cited the example of how in Algeria, official or government entities always order locally, which means that when ministries or schools need books they will go first to Barzakh. Recently, Algerian libraries placed an order through Barzakh for 1,000 copies of books by the Actes Sud writer Mohammed Dib. Because it is extremely difficult to import merchandise into Algeria, Actes Sud and Barzakh choose titles together, which are then printed in Algeria with different covers and logos for each publisher. In Lebanon, where importing books is not a problem, the books are printed in France and then sent to l’Orient des Livres. Both the Lebanese and Algerian publishers can pitch titles to Actes Sud editors, which may or may not be picked up. Actes Sud’s partnership with Barzakh deals mainly in books by Algerian authors or books about Algeria that both publishers are happy to have in their catalogues. A good example of the fruits of this partnership is a book slated for release in 2013 about Roman ruins in Algeria. Barzakh is taking care of the photography and the texts by historians, while Actes Sud will work on the design and editing. Last year Actes Sud successfully published Barzakh author Adimi Kaouther’s prize-winning first novel, L’Envers des Autres. As Philip Kisray has pointed out, publishing in the Arab World is hardly a uniform proposition, and the needs are contrasting and varied. The door is thus left wide open for a multitude of partnerships, which so far have proven beneficial to both parties among those who have taken the leap. Olivia Snaije is a journalist based in Paris, where she is a contributing editor at Publishing Perspectives and a books editor at Harper’s Bazaar Art. She is a former commissioning editor at Saqi/Telegram and has reported on Middle Eastern culture for many years, writing for a variety of magazines and newspapers including The Guardian, The New York Times, Condé Nast Traveler, GlobalPost, The National, and Middle East. This article was produced with the assistance of the Abu Dhabi International Book Fair.